Every year PC Magazine (http:www.pcmag.com) editors rank the best PCs, HDTVs, components, sites, and services. Plus: the products they are looking forward to next year, and which technologies are rising and falling. Bright, shiny and incredibly tiny. Impress when you share presentations and videos with this cool business tool. Success today means using tablets, laptops, smartphones and many other devices. 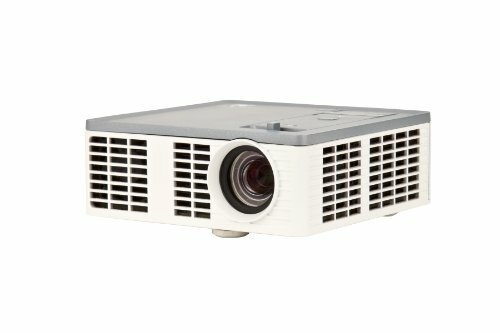 The 3M Mobile Projector MP410 connects to almost any device, making it possible to present at a moment's notice. This system ushers in a new era for Acerone of sleek design. The metallic cover, the 1-inch-thick chassis, and the sheer portability of this system are qualities that customers have been yearning for but hadn't been able to get in such a sweet deal. The most powerful contact management program for small and medium businesses now also sports a sleek, modern interface. This new look and feel makes its multitude of features easy to use even for newbies who may have been overwhelmed by earlier versions. This latest edition retains all its amazing powers to organize, link, and display data on contacts and companies, together with its tight integration with Microsoft Outlook. And for the first time, it adds the ability to link to social networking sites like Facebook or LinkedIn and online services like Google Maps. Adobe Acrobat is the leading software for creating, reading, and managing PDF documents and is now truly the best due to the latest improvements to speed and the interface, not to mention powerful automation features and the ability to gather data from PDF forms. How can you argue with the king? The swath of new features Adobe has implemented in its unparalleled photo editor make what was already the best even better, and more magical. The latest implements features that aid in selection, painting, and high dynamic range (HDR) photography and a capability that's pure digital prestidigitation: A Content-Aware Fill to excise foreground elements while preserving an image's background. The smart appearance of the m15x ($4,499 direct) is accompanied by some of the best mobile performance and hardware money can buy. Even better, it's all squeezed into a relatively light (for a high-octane gaming laptop) 7.8-pound chassis. The Intel Core 2 Extreme processor plus Intel's 965GM integrated graphics and nVidia's GeForce 8800M GTX, an ultrasharp 1080p screen, and a high-speed hard drive make this the system for demanding fraggers on the go. For most gamers, looks aren't as important as power. But the M17x delivers both, with a frame completely covered in aluminum metals, an Intel Core 2 Extreme quad-core processor, and the ability to switch between a low-powered and a ridiculously powerful Nvidia graphics card. Aliph does it again with the Jawbone Icon, a svelte, refined Bluetooth headset that sounds great and looks great due to six design options and is uniquely extensible because of what it can do with the unique MyTalk app platform. It even costs less than previous Jawbone headsets. With a built-in subwoofer and user-adjustable EQ, this big boombox is a likely candidate for high-volume distortion, yet, even when blasting tunes at dance-party listening levels, the bass remains clean and the highs crisp. Despite minor quibbles like its girth, and a limited remote control, the Mix iMT800 delivers audio that's well worth its price tag. The latest edition's improvements aren't revolutionary, but the Amazon Kindle remains the best ebook reader on the market. (Definitely worth a look: The Amazon Kindle with Wi-Fi only for $139.) You can also buy them at Target, Staples, and Best Buy. This iteration ($1,799 direct) is powered by the Intel Penryn Core 2 Duo CPU, which means lower energy usage and enough speed to do serious work. The extra power helps the iMac maintain its place in the vanguard of all-in-one PCs. Resolution is the same as a Mac Pro with an Apple 23-inch Cinema HD screen, big enough to view true HD video content. The Apple iMac 27-inch (Core i5) gives you speedy quad-core power, 5GHz 802.11n support, better 3D graphics at a 2,560 by 1,440 resolution, and the same large screen as the previous 27-inch (Core i7) for a couple hundred bucks less. Once it was difficult to pinpoint a target customer for this product, but it turns out the customer is everyone who likes cool technology. iPad sets the bar high for competing Internet tablets with its sleek design, sharp and accurate touch screen, and amazing iPad-specific apps for music, surfing, photos, and video. If it supported Adobe Flash and had a camera built in, it would be just about perfect. The 3G ($199 to $299 list) is one of the best handheld computers ever. True GPS, media capabilities, and hundreds of programs through the App Store give it an edge. The phone isn't the greatest, but it's a big improvement. By now Apple should have fixed the bugs that marred some of the initial units. If you like apps or the Internet, you need the iPhone 3GS. Its processor and graphics chipset significantly boost the iPhone's speed for everything from Web browsing to games, cementing the iPhone's role as the nation's most flexible handheld computer. It still isn't the world's best phone, but is fulfilling Apple's mission to bring handheld computing to the masses. The iPod touch ($229 to $329 list) remains the best portable media player on the market, period. Looking at photos on the iPod touch is a joy with the iPhone-style pinch-and-expand method of zooming. And watching video is the best viewing experience currently available on a portable media player. The glass screen is crisper, brighter, and larger than that of any other device out there. The already superb iPod touch gets its most significant update in years, adding photo and video capture via two cameras, along with FaceTime video chat and an ultra-high-res Retina display. It is, quite simply, a joy to behold. Looks like Apple actually heard all the whining about Windows laptops costing less and offer more. This system brings back the FireWire port, includes a SecureDigital (SD) slot, and has a lower price.